Weeee another hunt is going to start on the 13. so uhm TOMORROW! 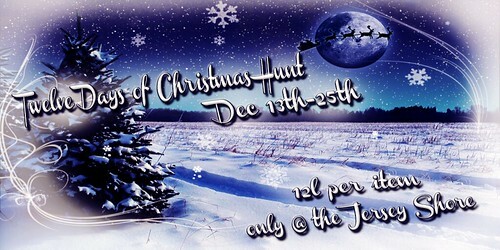 (Or for me, today already o.O) The “12 Days Of Christmas Hunt” @ The Jersey Shore !! !